A fashion/lifestyle brand and founder of Football Luxury. 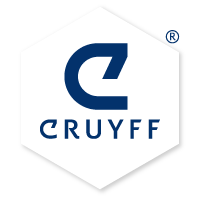 Cruyff Classics makes qualitative fashionable shoes and apparel with a luxurious attitude. The products are about innovation; new materials, new techniques. A brand for people with ambition & aspiration. Barcelona, Spain, 1979: Johan Cruyff asked his friend the famous designer Emilio Lazzarinni to help develop a functional and elegant brand of sportswear for the technical player. The spirit and character of their original collaboration lives on today in the brand. Elegance, comfort and style is now be enjoyed by all: men, women, young or old.